Macmillan’s newly announced DynamicBooks textbooks are a huge change for the stodgy, ultra-conservative world of academic writing. The digital textbooks give professors the power to reorder chapters, insert extra reading, delete irrelevant passages, rewrite individual sentences, and scribble in the margins. Oh, and they’ll cost half the price of physical textbooks. The inherent question here is whether professors should actually have the right to alter textbooks as they see fit–but the fact of the matter is, they’ll do that anyway. Today’s college classes often require a textbook, of which only half the content is relevant and which costs over a hundred dollars, as well as a coursepack or smattering of disorganized articles to supplement it. 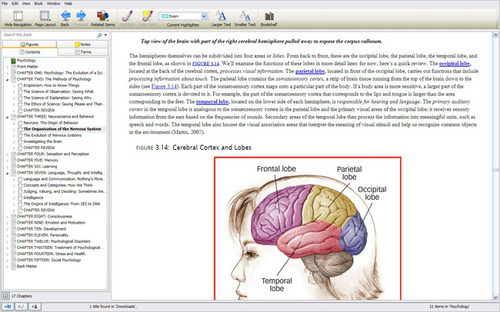 These DynamicBooks would allow profs to simply streamline their existing syllabus into a single digital file–essentially, allowing them to do what they already do, and better. DynamicBooks will also be offered at a heft discount, partly because modern physical textbooks are designed to be resold after use (which in turn gives the publishers license, or at least they presume license, to charge a ridiculous premium). Digital books can’t easily be resold, but they also eliminate the need for printing, so those savings are passed on. For example, Psychology, by Daniel L. Schacter, Daniel T. Gilbert, and Daniel M. Wegner, lists for $134.29, but the DynamicBooks version will sell for $48.76. Some writers and students have expressed concern that professors might change books to reflect personal beliefs–say, a science teacher might change a chapter on evolution to instead promote intelligent design. Macmillan doesn’t condone that kind of rewriting, but also doesn’t provide a built-in way to check it–instead saying they “would rely on students, parents and other instructors to help monitor changes.” But reaction has mostly been very positive, especially from students–and this summer’s launch of the Apple iPad tablet may encourage incoming college freshmen to be the first to really embrace digital textbooks. Macmillan expects to launch its first 100 titles this August, just in time for the 2010/2011 school year.